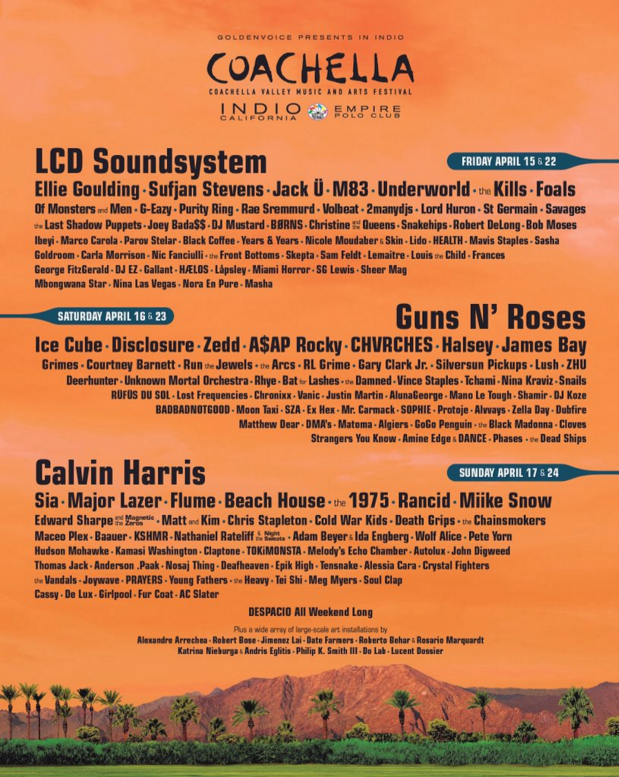 The Coachella lineup announcement is here and we're pleased to share that Mom + Pop artists Courtney Barnett, DMA's, and Flume will be taking the stage. Fresh off a Grammy nomination for Best New Artist, Courtney Barnett is scheduled to perform Saturday April 16 + 23. DMA's will also be performing on both Saturdays of the festival. Flume rounds out each weekend with performances on Sunday April 17 + 24. If you'll be in the Coachella Valley, be sure to catch these live shows. Find Courtney Barnett's latest album Sometimes I Sit and Think, and Sometimes I Just Sit on iTunes or Amazon. Flume's self-titled debut is also available on iTunes or Amazon. Stay tuned for DMA's debut album Hills End, due out February 26. You can pre-order it here.